MANILA--After two weeks, the Philippine Basketball Association returned to finally end what has been a colorful season. The Hotshots came out on Wednesday night with a bang, blasting Alaska, 100-84, in Game 1 of the Governors' Cup Finals at the Mall of Asia Arena in Pasay. Behind Robbie Herndon, Magnolia opened the game on a 15-0 run, forcing Alaska coach Alex Compton to call two full timeouts just within the first eight minutes of the game. The Aces eventually settled in and even threatened to come back at some points of the game, the last with 4:23 left in the fourth quarter when they came to within eight, 76-84. But a crucial 9-0 run ignited by Mark Barroca, who either scored or assisted in the said run, sealed the fate for both teams as the Hotshots took a 1-0 lead in the best-of-seven series. 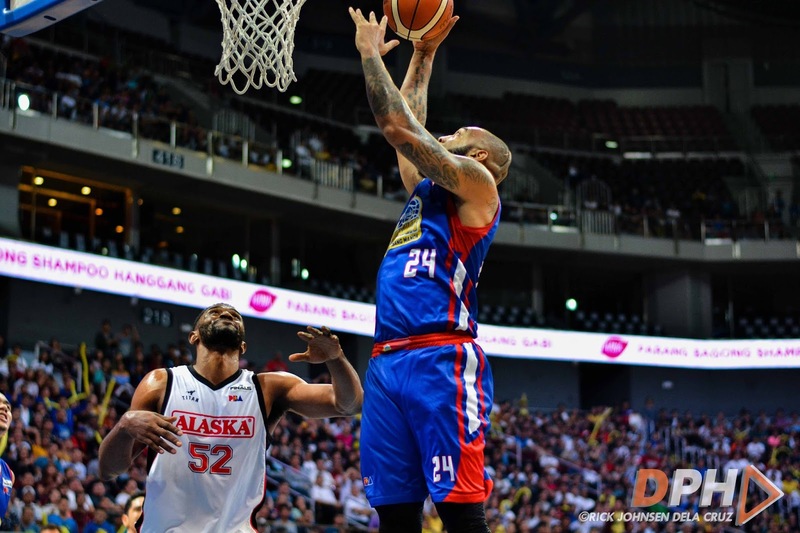 Romeo Travis put up 29 points, 13 rebounds, five assists, and one steal, while Barroca added 16 markers, two rebounds, three assists, and three steals for Magnolia. Herndon finished with a perfect 3-for-3 shooting for nine points with three rebounds and one steal, while Jio Jalalon flirted with a triple-double after tallying 12 rebounds, nine assists, and seven points with four steals. Mike Harris put up 20 points, 15 rebounds, two assists, four steals, and three blocks for Alaska.